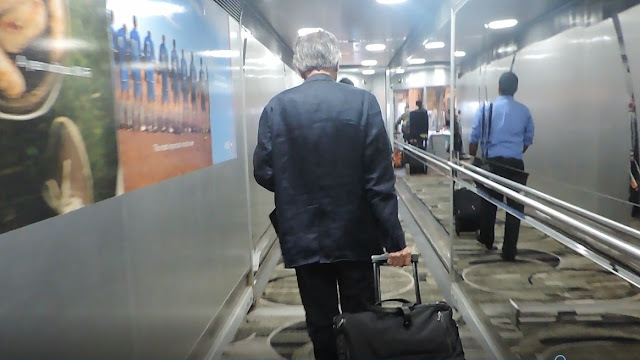 Arriving from my flight from Bangkok, I spent a few hours in the SilverKris Lounge in Terminal 2 and about 5:30pm, I left the lounge and slowly made my way to the boarding Gate which is Gate F54. I knew that they have security and passport control by the gate so I was prepared for a long queue although fortunately, the line was pretty short and I was through in a few minutes. Around 6:12pm, boarding started with those flying in business class and those with status getting priority boarding. This is exactly the same business class seat I flew on from Bangkok so I'll just repost/add some pictures instead. The left armrest which can be lowered. 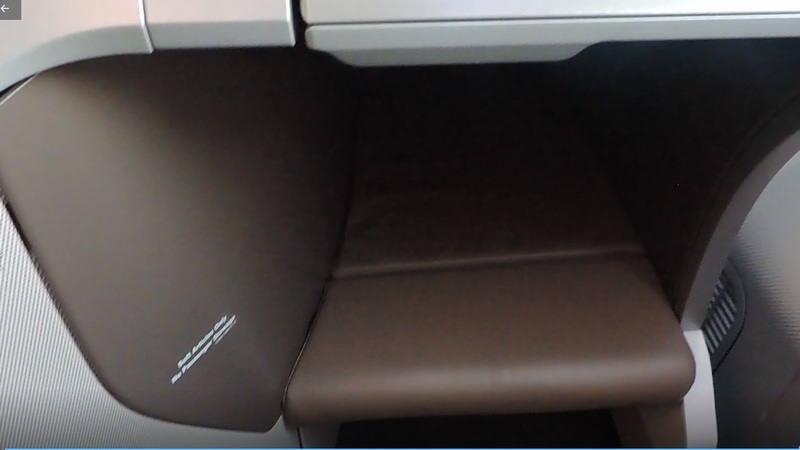 As expected, the foot cubby here is smaller than the one in the bulkhead seat. A few minutes after settling in, I was offered some predeparture beverage with a choice of orange juice and water. I kindly asked if I could have apple juice instead, which the flight attendant brought with no problem. Around 6:35pm, hot towels were offered followed by newspapers and magazines. Three minutes later, the captain was on the PA to give us some flight info including our flight time of 40 minutes. At 6:41pm, we began our pushback, and shortly after the inflight safety video was played on the screen. Take off was at 6:56pm and moments later, we were airborne. My Hoisin chicken croissant was very good 😋 The other choice was pastrami. The lavatory featured a hand lotion and cologne from Penhaligon's among others. I was able to check the lavatory in economy class and as you'd expect, it was smaller and didn't offer lotion and has no "seat". Around 7:10pm, the captain was back on the PA to inform us that we'd be landing at 7:35pm. five minutes later, he was back on the PA with the "Cabin Crew Seats for Landing". We landed at KLIA around 7:34pm and reached our gate seven minutes later.